Whatever the occasion is , roses are the perfect gifts! 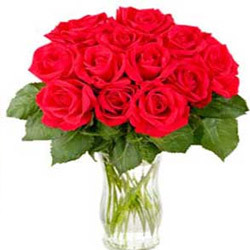 25 long stems of Red roses with vase are gathered to make a perfect gift for someone special. 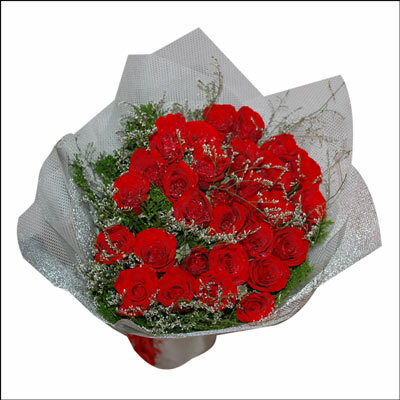 Add gracious touch to their special day with this charming 12 Red roses hand bunch. Our freshly ( Qty: 15) cut red and white medium stem roses arrive wrapped with greens, and ready for the recipient to arrange in their own special way. Blend Some Pastels With Deep Reds and Bright Yellow Carnations (24 Flowers + Fillers )and Wrap it in a Yellow Sleeve with Big Bright Bow. What Could Be More Charming? 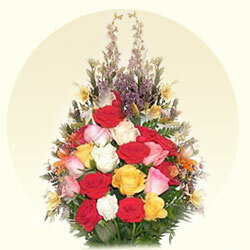 Remind her of your true love with this simple and beautiful 20 Mixed Roses arranged in pyramid shaped bouquet. 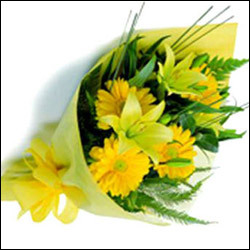 Bunch of 12 yellow coloured steams of Gerberas and 1 Asiatic Lily is a perfect one for any relation. 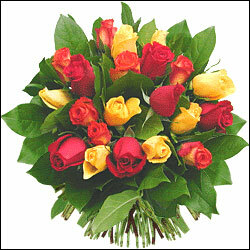 Send this clumps of the finest yellow roses (24)tied together beautifully to make someones day more brighter than ever. Bunch of 30 Red Roses with seasonal fillers wrapped in cellophane with a ribbon bow. Nothing goes together quite like Roses and Love? 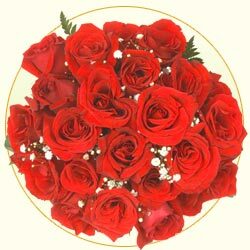 Beautiful Red roses bunch of 24 Flowers along with fillers. 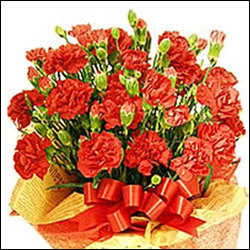 If you are looking for an artistic bouquet, this is it, the perfect 16 Red & White Carnations.Soothe the soul of your beloved with this bouquet. 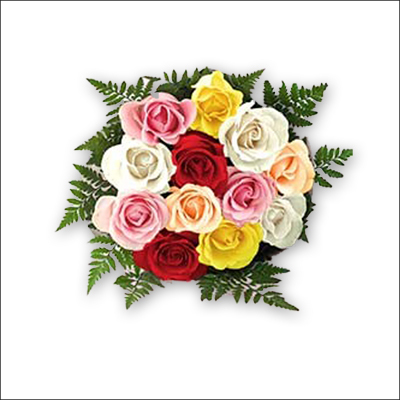 So charming,its sure to bring smiles to whomever you send it!Send this beautiful 18 Red & Orange roses bunch to make her smile. 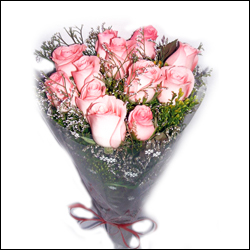 Soft and lovely perhaps they are just like that special someone you are thinking of send this classic 15 light pink roses bunch. 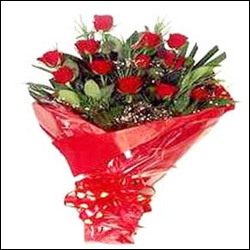 Stylish look of Red roses adds just the right touch to any occasion.send this beautiful 9 Red roses hand tied bunch to your dear ones. Love,Friendship, warmth and remembrance Yellow roses offer little bit of everything. 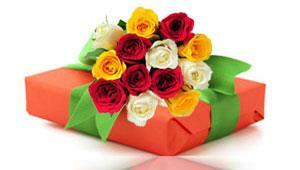 Send this beautiful 15 yellow roses bunch to add bit something. An evocative bouquet that will lift the spirits of someone you adore.12 Red roses are arranged perfectly. Orange rose stands for their beauty.This bouquet of classic 15 Orange roses will surely make anyone blush all day long. 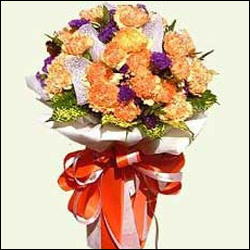 Send your incredible wishes with 12 Yellow & Orange Roses bouquet to your special someone to make their day more splendid. 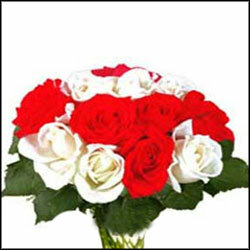 Let it be birhtday or any occassion, this cute 18 Red & White roses bunch is sure to mark some impression in your lovers heart. 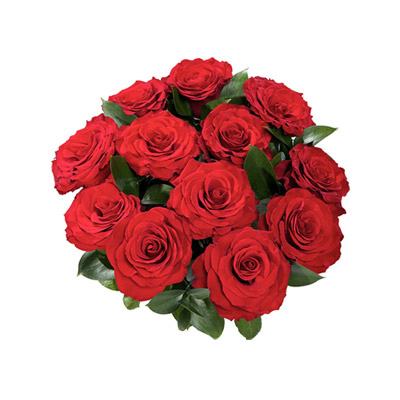 Capture the heart of someone special with our 100 red roses Bunch. 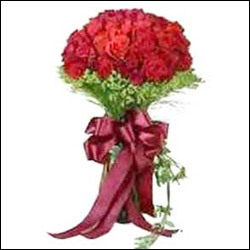 As red roses signify love and joy, this alluring and gorgeous bouquet will bring sheer delight and happiness to the hearts of those who receive it. 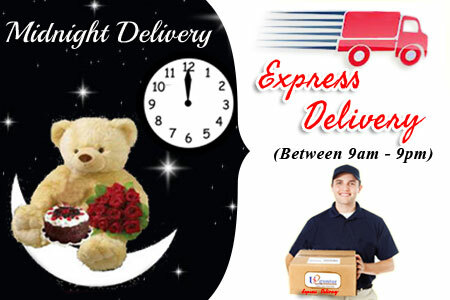 Let that special someone knows how much he or she means to you, by sending our bunch of 25 yellow roses. 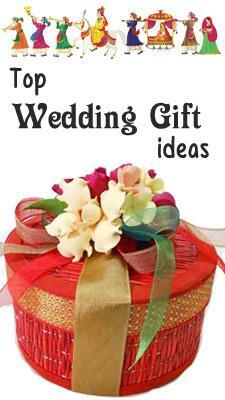 Bunch of 22 Roses with seasonal fillers wrapped in cellophane with a ribbon bow bunch. Bunch of 5 Bird of Paradise with 6 Anthuriums. 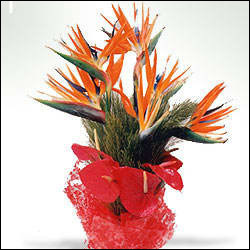 A truly rare bunch of Exotic Flowers consisting of 5 Bird of Paradise with 6 Anthuriums. Express your abundant love to her/him with this beautiful 30 Red Roses tied toghter with matching cellophine. 24 Red Roses Bouquet. 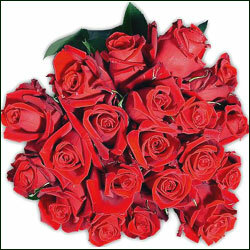 Two dozen sensational, fresh-cut, long stemmed Red Roses. 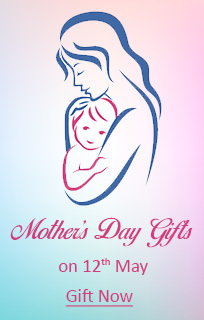 What better way to express your care and affection for that special person. 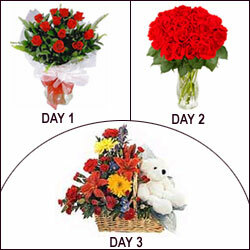 Flowers are hand-picked and tied, then shipped directly along with your personal message. 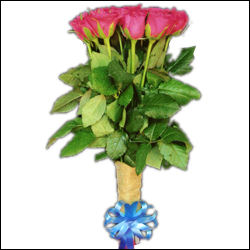 Show your love and appreciation for your dear ones with this specially arranged 20 Mixed roses bouquet tied with a ribbon. 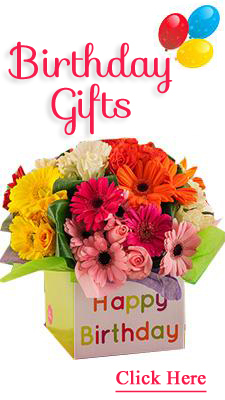 Cheer up someones mood with this lovely gift of 20 colourful gerberas, lilliums and carnations wrapped in style. 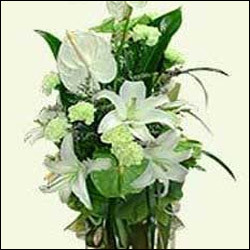 Send this exotic bunch of 18 Anthuriums and lillies to someone you adore a lot. 30 Roses count on the person you love. Love em !! 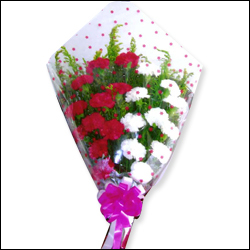 Bunch of Red roses (12)with white lily/Glads(6)is a right combination on right occassion that is sure to delight her all the day long. 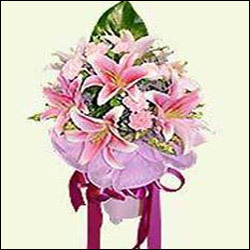 Stargazer lilliums with baby pink carnations (18)is an executive choice for your gorgeous dear one. Flowers are subject to availability. 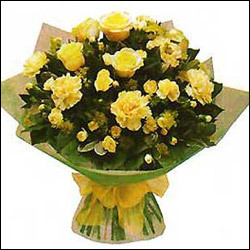 A hand tied bunch of yellow Roses & Carnations of approx 20 flowers is a perfect gift for anyone on any occassion. 25 Hand picked charming pink roses are sure to brighten his/her day. Doesnt it look nice!! This bunch of orange 20 carnations. 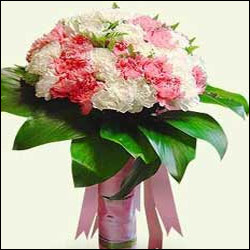 This soft colour combination of 20 pink and white carnations looks awesome on any occassion. 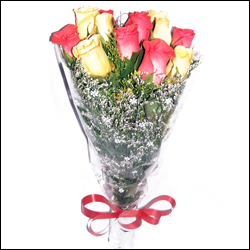 The Warmth of a Beautiful Friendship is expressed with this bunch of 15 Fresh Yellow Roses. 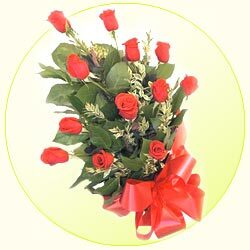 12 Red Roses bouquet tied with Satin is sure a better way to express your love for that special person. Perfect for those who love red colour. 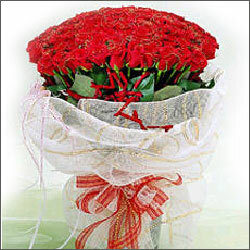 Send this 18 stems of beautiful red carnations to your loved ones to make their day more memorable. Sweet 16 roses a perfect gift for someone special. 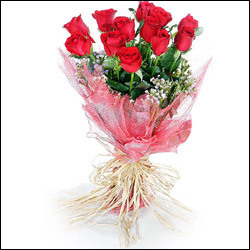 Dedicate this alluring bouquet of 16 red and pink roses as its all about love. 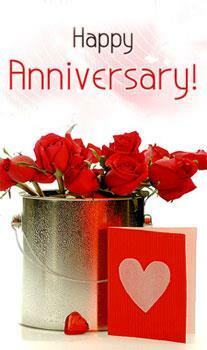 Red roses symbolize your undying love while pink ones signify the perfect happiness with her/him. 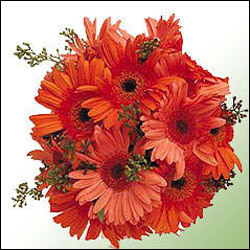 12 Sunny gerberas to set her/him in right mood. Lift someones spirits with this fragrant bunch of 12 pink gerberas. 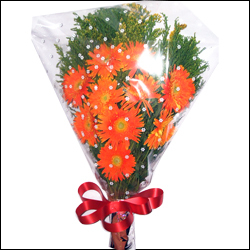 Send these specially picked 10 Gerberas bouquet to loved ones on any occasion and wait for their response. You get a smile for sure. Bunch of 10 Orange Gerberas. 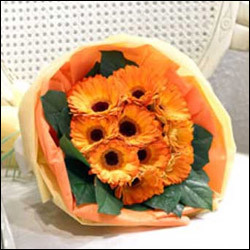 Let that Someone Special In Your Life know they are on your mind with the charm of fresh Orange Gerberas. A bunch of 12 Pink roses with matching cellophene and ribbon keeps her all day smiling. 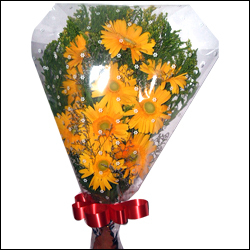 Bunch of 12 yellow roses with matching cellophene and ribbon is a perfect gift for anyone on any occassion. 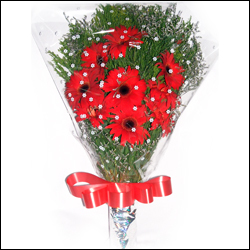 Cute bunch of 12 red roses with ribbon and matching cellophane is sure to delight your loved one. 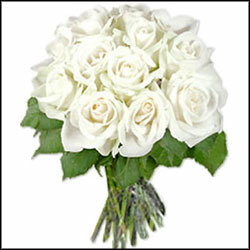 Let this cute 15 White Roses utter your love towards him/her. 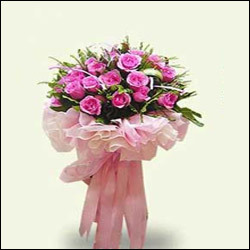 Send this eye catching arrangement of 15 Pink roses bouquet to wish your near and dear on their great day. 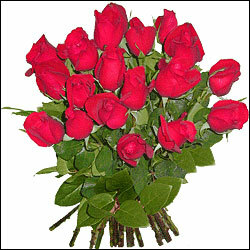 Wonderful assorted bunch of 15 assorted roses elegant and beautiful like the person you are sending them to. Wish your near and dear all the best for their Bon Voyage or Examinations or for any occassion, with this bouquet of 15 Red roses wrapped in a net. 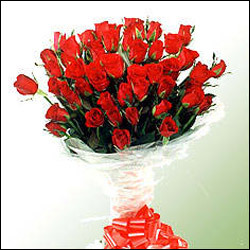 18 Thick Red Roses bunch is an intime gift for your lover on any ocassion to reflect your true love and adoration. 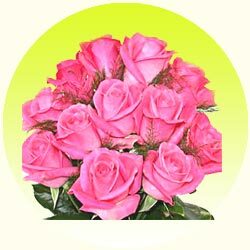 Though you are far away,your intime everlasting and sensational gift of 18 Pink roses bunch is sure to make your presence felt by your loved ones on any occassion. 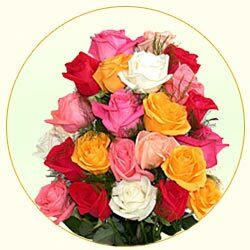 Wonderful bunch of 15 fragrant mixed roses is elegant and beautiful like the person you are sending this bunch to. Let these 20 Pink Flowers express that you are there always and forever what ever the condition may be. 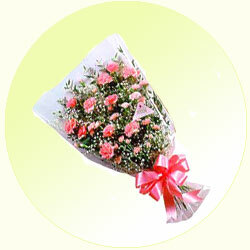 Make her/him feel your presence with this cute bunch of 20 Light pink roses. 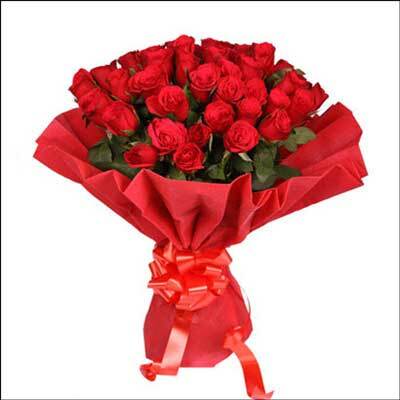 Sure!Your's admirer cant take his/her eyes off from this cute bunch of 20 Red roses. 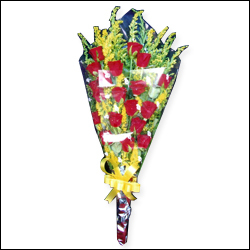 Whether to say it or not .... your admirer will surely feel this beautiful bunch of 20 Red & yellow roses as pulsating way of expression. Give warm welcome to the new born with this cute 12 yellow roses arraned in a small vase.